Many of us experienced the same feelings in 2007 and 2010: Apple announced something so amazing and appealing—the iPhone and iPad, respectively—that we just couldn’t wait to buy it. But then we had to sit there and twiddle our thumbs for months waiting for the opportunity to actually do so. It's happening again with the Apple Watch, which the company announced in September to plenty of oohs and ahhs (and lingering questions), but promptly dated for an early 2015 launch. We're ready for you, Apple Watch! However, there was nothing even close to the iPhone prior to its release, and no tablet was even close to catching the eye of the average consumer before the iPad debuted. That isn't the case now, thanks to Android Wear, which has unified Android watches under a single brand and UI and pushed manufacturers to build ever-improving devices. Motorola's Moto 360 has early-gen issues, but it's an attractive option, and software updates are addressing flaws. And LG's new G Watch R might be the best smartwatch when it debuts soon, although the chunky aesthetic may prove divisive. I'd happily rock an Android Wear device today, but I'm out of luck as an iPhone 6 user. Apple should absolutely take its time with its first smartwatch and make sure that it's refined and ready to impress when it launches. Still I remain anxious, ever so as each new competing watch hits the market. Luckily, with a recent price drop ratcheting up its allure, I found respite in an unexpected option: the Pebble, my new starter smartwatch. 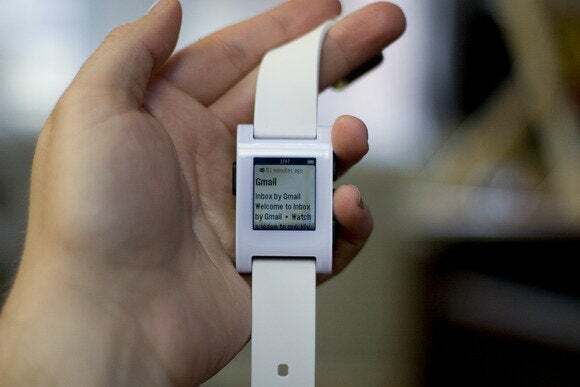 The Pebble deserves some recognition for helping to drive this current wearable craze, thanks to its wildly popular Kickstarter campaign, which raised more than $10 million from almost 67,000 backers in early 2012. But compared to the recent crop of full-color, touch-centric devices, it can't help but feel a bit lowly and outdated. Pebble's device has been on the market for almost two years now, and its e-paper display and limited interactions make it less capable and intelligent than newer, sleeker, and more premium options. 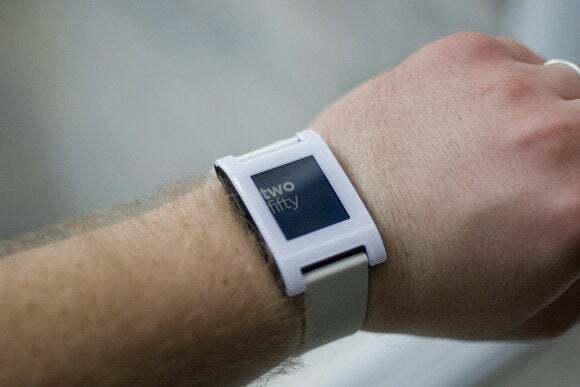 At its lingering price of $150 for the standard plastic model—and $230 for the much more premium Steel version—the Pebble started seeming overpriced and under-equipped compared to the ever-expanding competition. The basic Pebble model isn't nearly the high-end timepiece that the Apple Watch will be—but it's also a fraction of the price. Surely Pebble sensed that it might be crowded out of the market it helped popularize, and late last month, the company issued a $50 price drop on its entry-level device, bringing it down to just $100 (with the Steel now $200). A smartwatch for $100! It's almost unbelievable. As a fan of eye-catching wristwatches, I couldn't resist the urge to snag a bright white one for myself. Perhaps "impulse buy" isn't the right descriptor, but at that price, the Pebble takes on new life as a gateway device: something that'll get your mind and body attuned to the sensation of wearing an intelligent, connected device on your being. Having a small, customizable screen on your wrist—with notifications and vibrations in tow—is very different than simply having a smartphone in a pocket or handbag. The Pebble is now available for $100 following a recent price drop, while the higher-end Steel model now sells for $200. 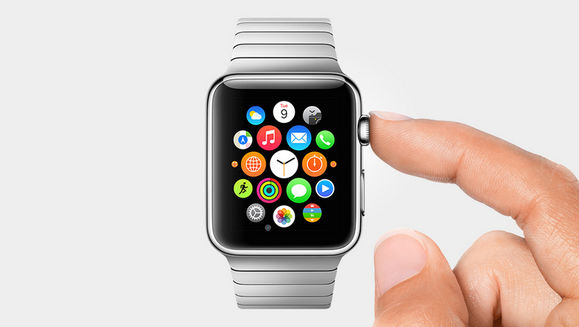 For standard wristwatch wearers, the Apple Watch may well amount to sensory overload at first. All that color and flash and modern design, boosted by the dazzling, icon-packed UI and various touch interactions. Practically, I know that I have an Apple Watch in my future when spring rolls around, and I'll drop the $350-plus if it lives up to its clear potential. For both personal and work needs, as someone who covers Apple products and the wider gadget field, that's a certainty. If you're in a similar boat as a prospective Apple Watch buyer, what the Pebble offers today is just enough functionality to get you used to having a smartwatch in your life. I'm acutely aware of how much time I spend staring at screens each day, and was concerned about amplifying that with a smartwatch. But wearing the Pebble, I find that having notifications buzzed to my wrist makes me less likely to pull my iPhone out of my pocket every other minute, especially when silenced. Having a smartwatch has helped me feel a little more focused; it takes the edge off of the consistent worry I have over missing emails and calls. That's been a surprising difference for me in my early days of wearing the Pebble. And as someone who likes a well-considered plastic watch, it's also an attractive accessory. Not Apple Watch-attractive or nearly as refined, but it's less than one-third of the price. The Pebble doesn't feel cheap or chintzy; for $100, it comes off as a solid value. Meek as the Pebble might seem in feel and function compared to the upcoming Apple Watch and the various Android Wear options, it's a fine little device that's been lightly enhanced over time. Notifications—be they emails, messages, calls, or app alerts—are reliably transferred from iOS devices following improvements, and Pebble recently added background fitness tracking via a software update. 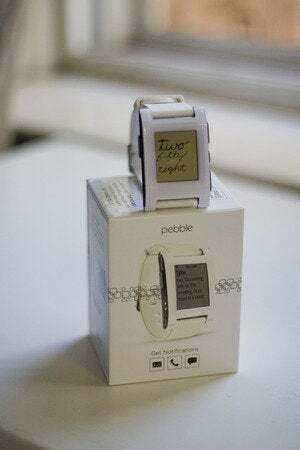 In February 2014, Jason Snell wrote about his first year of wearing a Pebble, and the biggest takeaways will be reassuring to some: it tells the time, you don't need to charge it every day, and "it's not a phone and doesn't try to be one." For some wearers, a Pebble will offer plenty of wrist interactions with their phones, and an Apple Watch purchase won't seem quite as necessary. Many of us want the added flash and the functionality, albeit at a much higher price. But I imagine some who try a Pebble will feel plenty content with what a $100 device has to offer, and not feel the urge to snag an Apple Watch immediately come spring, if at all. Notifications come from your paired iPhone with a light vibration, alerting you silently and subtly to a new message, call, or email. Or maybe you'll find that you don't like wrist notifications and wish not to be pestered on a further level than what your iPhone provides. You probably already have that sense, but if you want to really find out, it makes more sense to do so with a $100 watch than the full bells-and-whistles $350-plus option. It's difficult to know for sure until you're actually living with the thing. For the rest of us that already have our hearts set on the Apple Watch, spending another $100 might not seem practical. But buying a Pebble now is not akin to throwing money away, nor is it a necessarily wasteful splurge. It's a useful bit of tech that you can enjoy now and for months to come, and should you feel the urge to upgrade to the Apple Watch, you might thank your transitional smartwatch for easing the initial shock of adding yet another screen to your everyday life.